As I was talking through my experiences last night, this was the first time I have been brutally honest about some of my experiences and lows. 9 years ago I tried to kill myself because I couldn’t handle the demon in my head called bulimia. I was so LOW, I had no esteem, no drive, I had completely lost who I was, my worth, where I was, what I wanted, who I wanted to be, I just wanted this illness taken away from me. I couldn’t see escape, and I thought the only escape was to go. As a bulimic sufferer, unlike anorexia you hide your illness, you look relatively normal weight, can put on a front, hide away socially, physically and emotionally. You learn to shut people out, even the closest to you. I spent days and weeks where I only left my bed after I had starved myself for days to eat, which I knew would start the next cycle. I want to tell you WHATEVER your stage of recovery – YOU can get back to a fully functioning normal life. You CAN believe in yourself again, you just need to keep working on it, you need to keep reminding yourself YOU are worth it. I have days still now here and then where I am so low I want the world to disappear, BUT what I have realised is that these days are few and far between, and it is mostly due to the fact that one of the personality traits of an ED sufferer is OCD and Perfectionism. I have spent, and still spend time daily working on my mindset and strength to ensure I am fully functioning. It is something I will never be able to stop doing because I always want to keep improving and growing and being a better human being to help others become happier and healthier too. Last night I stood up in front of a room of nearly 100 people to speak with confidence, and happiness about my experiences in a positive light. Listening to Louise also helps prove that There is a light at the end of the tunnel YOU need to keep going, because I promise you that it is worth it. One step at a time. Don’t beat yourself up at a set back, just refocus, regain your thoughts and start moving forward again. At times last night my anxiety started to take over as I was speaking at the thought of, “I am setting myself up for complete judgement” and thoughts running through my head at points were, “everyone thinks I’m a joke” and “I am not good enough to be up here” BUT I have learnt to shut out my chimp! That voice that negatively talks me down – YOU can do that too, the thoughts may be there but it’s learning how to destroy them and prove them wrong. How many times have you taken a moment to think about your emotional affect on someone else? It is something I am very very conscious about, but its something a lot of people do not think about or care about. I have written a couple blogs that touch on this topic and an instagram live feed. The power of others negative impact on your thoughts. How many times have you walked into a room and put that negative emotion onto the others in the room? If I ever do that, the next best thing I do is apologise straight away and try to create a positive impact. How many times have you thought about the power of your words? I spoke last night about unveiling in counselling sessions some of my triggers from back when I was a child. I speak about in my book an incident from back when I was 6 year olds, that sparked the trigger of embarrassment for not being good enough. When I was 8, upon being left out of a group I was called Fat, at 10 a passing comment from a parent which was overheard by a friend about potentially being ill (anorexic) was passed onto me from a friend again only 10 neither of us understanding what it meant because I was super skinny “far too skinny”. Sometimes you don’t realise the power of what you say and the affect that has on your subconscious mind. This is why the phrase be kind always is so important. Girls especially are terrible, I would never want to go through my teenage years ever again, BUT now guys are becoming increasingly worse. WE ALL NEED TO STOP TEARING EACH OTHER DOWN – WE NEED TO START BUILDING EACH OTHER UP. What makes someone more important than the next person? NOTHING! We are all equal in our own right. Lets start creating that environment for the youth of today to grow and love instead of tearing each other down. This starts from adults now – our generation the generation before us – WE SET THE PRECEDENT! Which is why I am so privileged and grateful to have the opportunities I have now to help change the future for our youth. Admission is not a weakness it is a strength. It takes some guts to admit, “I have a problem” NO MATTER WHAT it is: Addiction, mental health, medical issues, eating disorders, disabilities, there is nothing to be ashamed off. One of the key purposes of speaking out was to help others realise, Yes I have had an Eating Disorder and do you know what No I am not ashamed of it. It is something that defined me for so long, but IT no longer will define me, it helped me redefine myself, it has catapulted me to really learn who I am, it has enabled me to see what serious depression is in and made me realise how fortunate I am to have made it through, to see light in each day and have the opportunity to help others to see that you can break through. Every struggle you go through is a lesson, a lesson for you to grow, and understand who you are better. I am not saying it will be easy, BY GOSH it will take hard work, a lot of HARD work, but how much do you want to live a normal life again? How much do you want to see the light? How much do you want to laugh and smile at the sun rising in the morning, to smile at the beauty of the world, see the light and hope in others around you and see the good in what everyone is trying to do for you and help others understand how to be kinder and happier. Admission is the first step to saying, “I am strong”, “I want a better life”, “I deserve to be happy” and YOU DO! I want you to know that you are not alone. Admission is a lonely phase, it can be isolating and scary, its the steps that you know you can’t back out, you have a stamp on your forehead, BUT you are not alone. We are here for you, and we are here to help you see the light. Speak out, reach out and allow yourself to live yourself again, overtime, you will see it is worth it. Don’t let your demons define you – Lets rise up and burn your flame so bright. 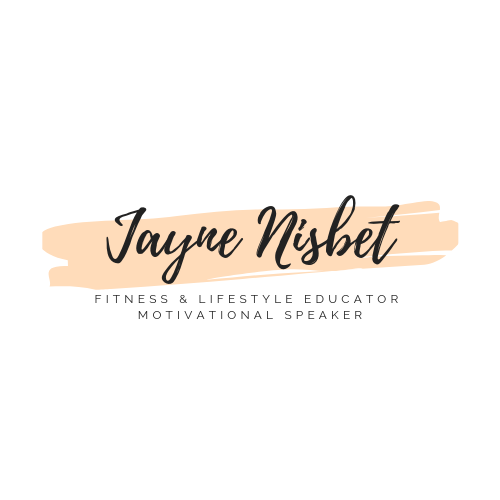 Jayne is available for Transformational speaking engagements and Event Hosting.